Picking up where the first film left off the angels are laying an aggressive offensive against the forces of Nerv. 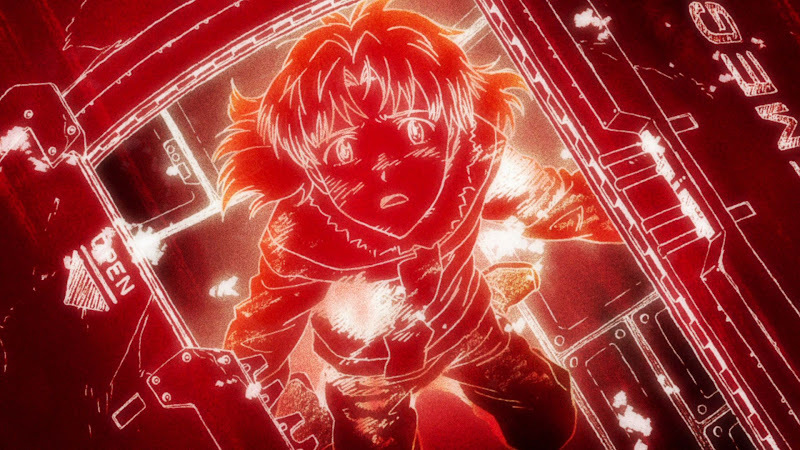 In order to make Nerv’s defenses more powerful the Japanese branch receives ace Pilot Asuka Langley Shikinami. But with each Angel attack draining the resources of the planet three Evangelions may not be enough to stop the angels from their ultimate goal, Earth’s total destruction. Hideaki Anno’s Evangelion is an iconic anime series that shook the entire world when it was released back in 1995. Now, fifteen years later, Evangelion’s modern reboot has the potential of doing exactly the same thing. But can this condensed version of the classic series stand up to the hype? 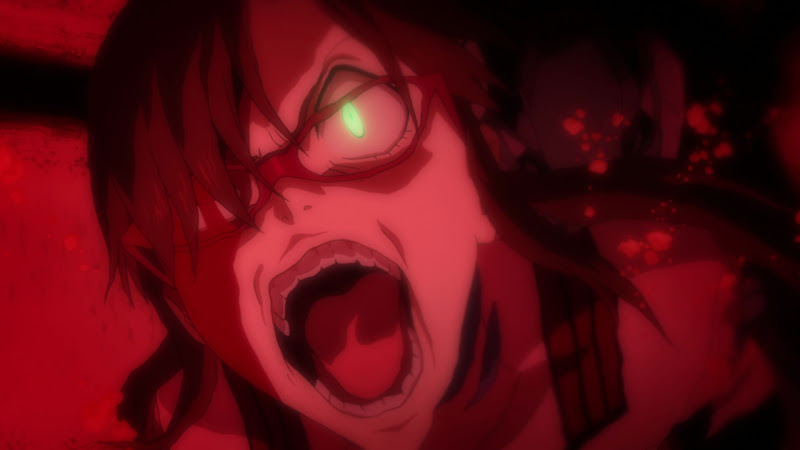 I avoided reviewing Evangelion 1.11 because there wasn’t much to say about the movie except that it was the same material with much better animation and being a massive Evangelion fan I felt my review would have been biased. But being that this film takes Evangelion and attempts to reinvent it I felt more comfortable approaching it as a new entity. That isn’t the case. 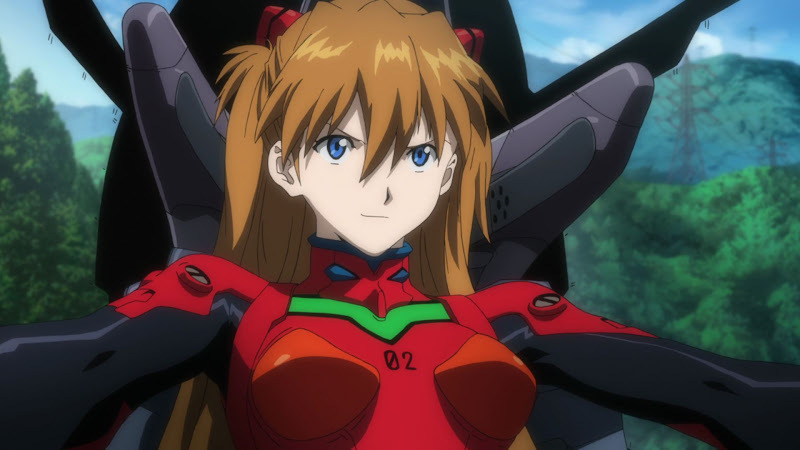 Where the first film’s beginning is a shot for shot remake of the television series to capture the feeling that this is Evangelion, You Can (Not) Advance starts off with completely new material as if to tell the audience that this experience is going to be something completely new. That opening scene showed so much new that it blew any thought in my mind that this film would simply be a remake of the television series. 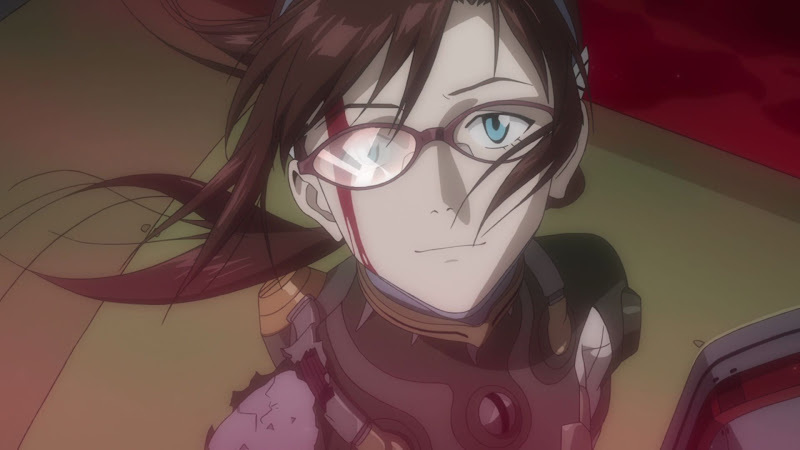 The HD animation is stunning, it takes place in a different NERV base with a never-before-seen commander, it features a new Evangelion unit using a combat mode never before seen, it introduces Mari Illustrious Makinami the film’s new character, and it features a fight with a redesigned Angel. There was no better way they could have started the film. The film constantly moves back and forth between classic scenes and new material which shows how much Anno has improved as a director and animator over the past fifteen years. The new scenes serve to shake up and reinvent the classic story. One scene in the movie shows the beginning of the day in Tokyo-3 and presents the city as a fusion of nature and technology. With only thirty seconds of animation he shows the city that was awe-inspiring in You Are (Not) Alone as a place that people take for granted, a place where people live out their lives normally. Those beautiful scenes of daily life and the stunningly animated and choreographed battle scenes make Evangelion 2.22 a visual treat. The largest improvement in You Can (Not) Advance from You Are (Not) Alone is the pacing. The first Evangelion remake at times felt like a chopped up rehash of the original. Anno was able to get rid of that feeling by not only altering the story but by creating new enemies, the addition of the new character, and other visual elements that enabled this film to distance itself from the source material but still maintain the core elements of the original. The biggest challenge in taking ten episodes of a television series and turning it into a two hour movie are the characters. It was hard to believe the Anno could fit the entire story into the film and develop the characters as well as he did in the original. 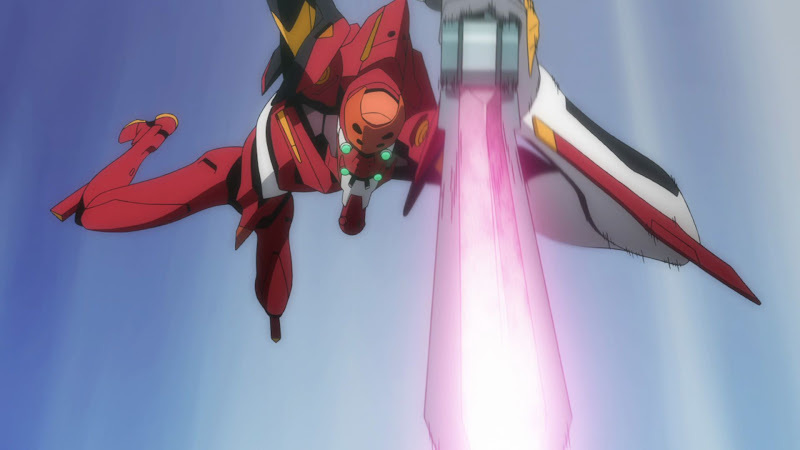 But again Anno proves his ability by deeply fleshing out the characters with a subtle grace that the original lacked. In fact, some of the choices he made in the film helped to understand the characters much better. The television series relied on a slow reveal to develop the characters and establish their flaws. Due to the limitation of time Anno leaves the character flaws out in the open instead of covering them up and digging for them. Because of that fact the film enables the audience to identify and sympathize with the characters far more than the original series did. The unfortunate result of this is that the minor characters of the series are ignored left to serve only as background imagery and noise. The friendships Shinji developed in the first film are shown briefly but never in any real depth. The audience is left to take those relationships as static fact as characters they came to know in the first film simply hang around uselessly. Hideaki Anno has done something that is rarely pulled off well in media. He has taken his original property and updated it to modern version while keeping the spirit of the original alive. Not only that, but he improved on his creation as well by eliminating non-crucial elements of the plot to build a tighter, more well-crafted story with powerful characters, and breath-taking animation. This film is an improvement of an already classic piece of Japanese animation. Main characters are well deeply developed, especially in comparison to the source material. Animation is breath-taking. Everything from battle scenes to the elements of daily life are well crafted pieces of art. Pacing is much improved from the original Evangelion film, which at times could feel like a chopped up re-hash of the television series. Minor characters are almost entirely ignored, even characters that played a large role in You Are (Not) Alone.